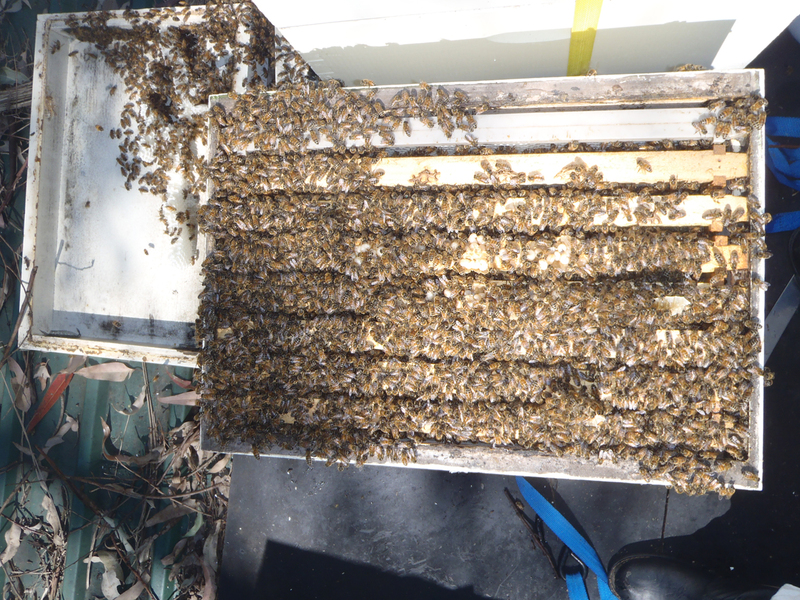 So Spring has finally arrived and with the promise of a good beekeeping season, I removed the queen excluder two weeks ago from a couple of my hives in preparation for splitting them into two as a swarm prevention strategy. Well the queen has been busy! 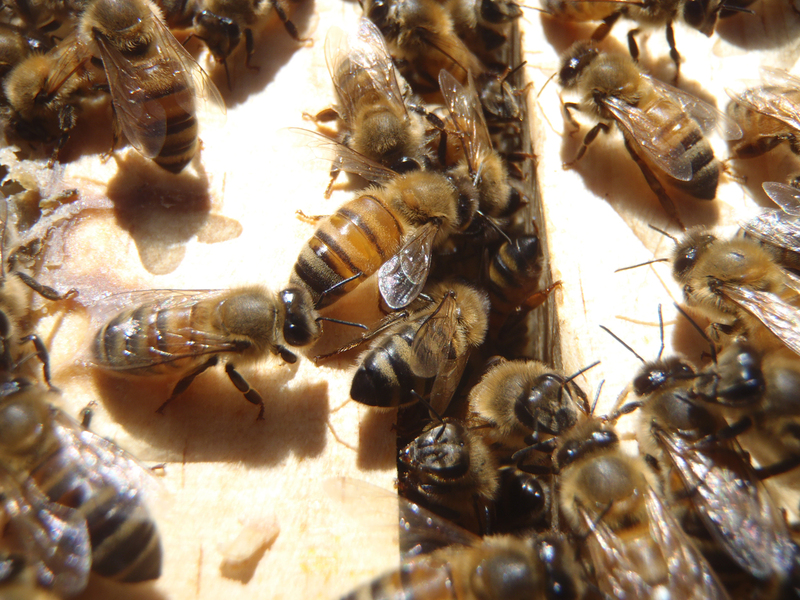 If you look at the shot below there were many bees covering all 12 frames of brood – a perfect hive split prospect. Now this is a healthy frame of bees and brood. 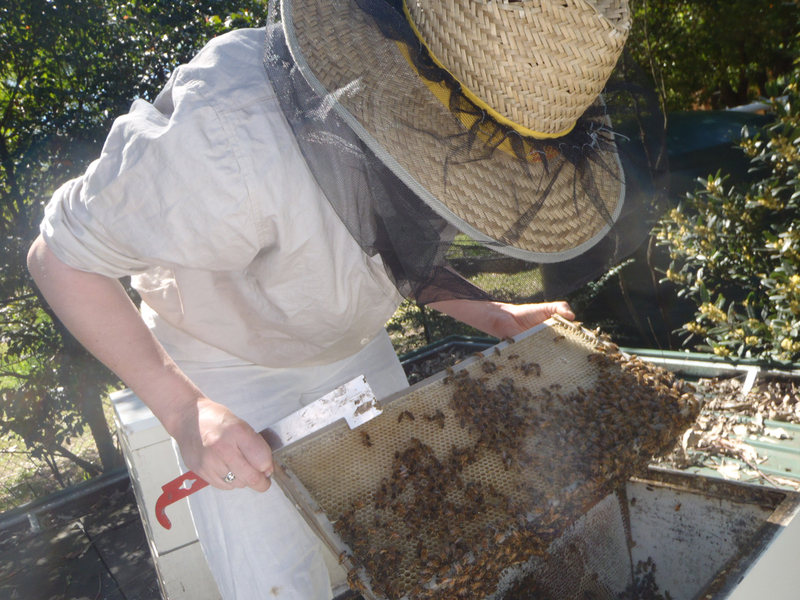 One of the hives was a lot smaller; it’s been in a position that didn’t get as much sun during winter and serves as a good example of why sun is important when it’s cold. If you look closely below you can see some bee communication going on. 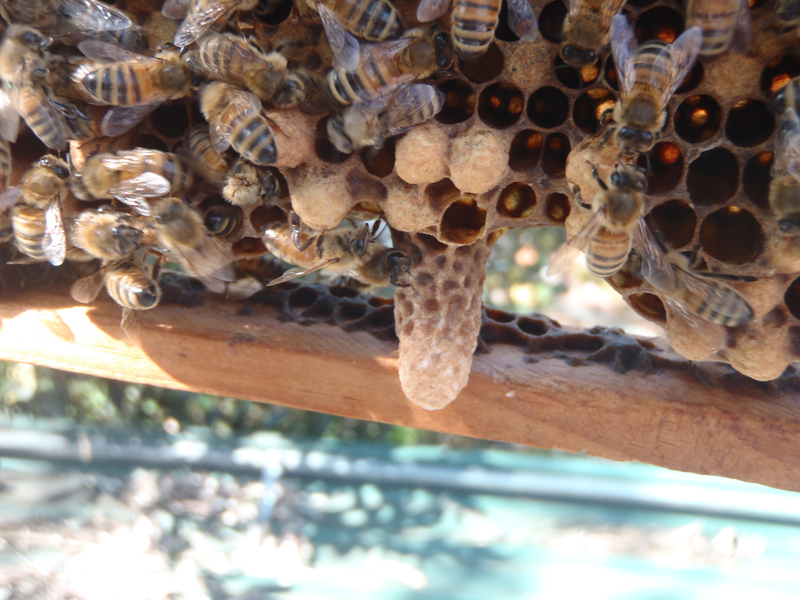 One of the hives was clearly ready to swarm despite all the room I have given them so we took this queen cell to make a nucleus hive along with another frame of brood and honey. 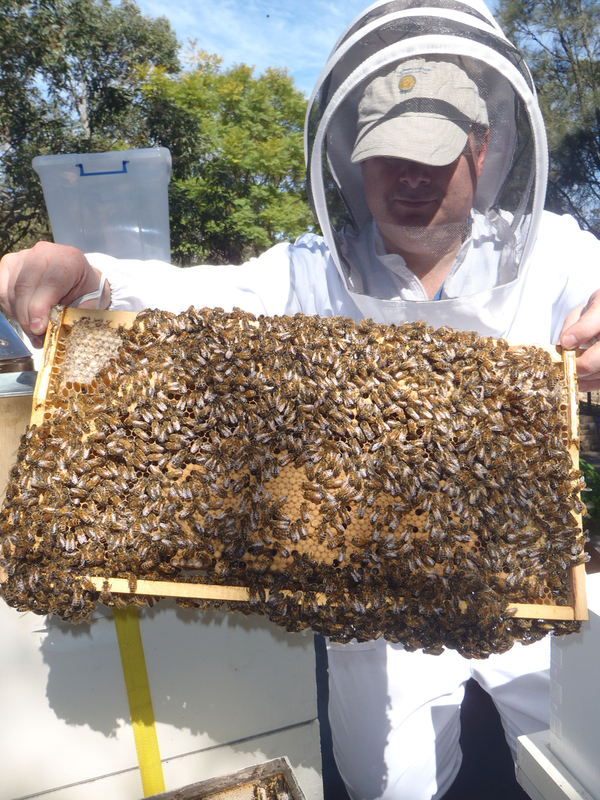 So we ended up with two new hives and a nucleus hive after the splits were performed. ← Things are starting to build up..